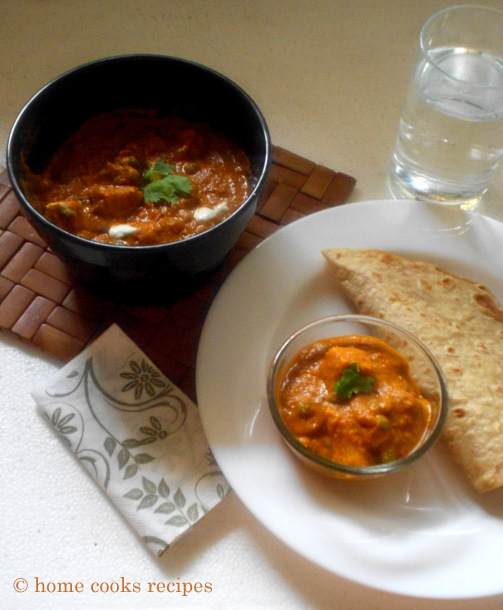 I made few changes to Paneer butter masala and got this recipe. its so simple recipe and also it tastes so so good. my words and the pictures may not do justice to the dish. You have to try and find how tasty this gravy turns out. Oh this time i'am trying out with step by step pictures. i am finding very difficult to handle the camera on one hand and ladle on other. sometimes hot smoke hits the camera lens, it was a new experience to me. i salute blogger's who make step wise pictures on every post!! without any more excessive talk, i will take you straight to the recipe. for 100gms of Paneer and 1/4 cup of Green peas. 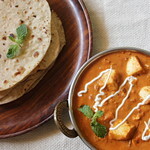 (1) De-frost the Paneer either by soaking the paneer with its wrapper in a bowl of water for about 30 mins or microwave the paneer for 1 minute at high power. (2) Boil 1/4 cup of green peas in 1/4 cup of water or alternatively microwave for 4 to 5 minutes. (3) Heat a deep pan, add one tsp of oil, add onions and fry till it turns light pink and translucent. Add cashews to the pan and saute it for a minute. (4) Add chopped tomatoes to the pan and saute it together with onions. add salt to taste, turmeric powder and kashmiri chilli powder. mix them all together till they become soft. remove it from flame, add corriander leaves and mix all together. then let all cool down for 10 minutes. (5) On cooling, transfer them to a mixie jar and grind into a smooth paste by adding 1/8 cup of water. (6) Heat another pan, add one tsp of oil, following it add very finely chopped onion. fry it till it turns light brown. Add 1/2 tsp of kasuri methi, 1 tsp chilli powder, 1 tsp kashmiri chilli powder and mix them all together. (7) Now add the grounded smooth paste to the pan and give a mix. Gravy changes in colour. Now add Paneer cubes and green peas to the pan and give a mix. also wash of the mixie jar with little water so that not even little grounded paste is left-over, and add it to the pan. (anjali, i updated this line for you, sorry for not including earlier, i assumed every one will do that). (8) Add 1 tsp of butter and mix. close the pan with its lid, put the pan in medium flame for about 5 minutes. (9) After 5-6 mins, oil seperates from the gravy and the gravy changes colour, switch off the flame. add 1/2 tsp of kasuri methi and 1 tsp of fresh cream. Garnish with corriander leaves and fresh cream. 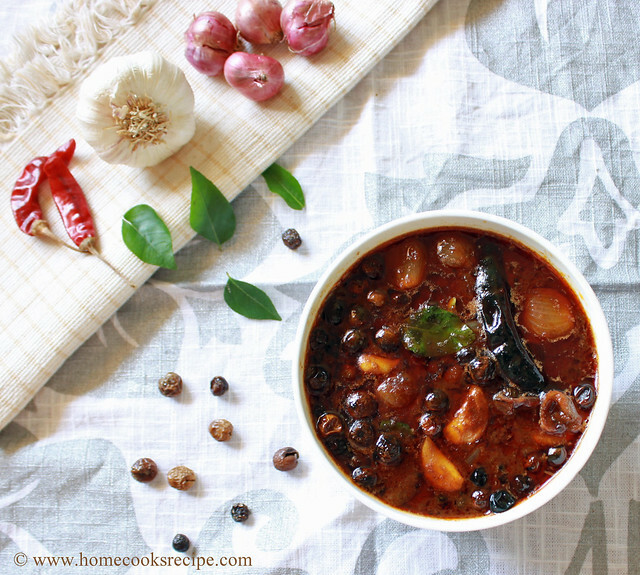 Serve with chapathis or roti's. 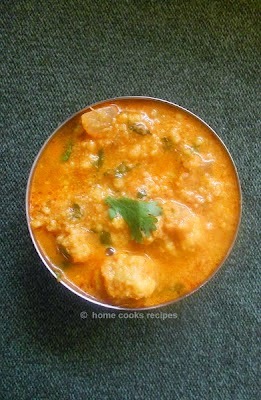 - Key taste maker of this gravy is kasuri methi and butter. so do not skip it. - Adding fresh cream and cashews is optional. though the gravy wont be creamy. 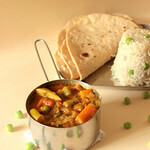 - No spices are added to the gravy which makes easy on digestion. - I also suggest you not to skip corriander leaves. 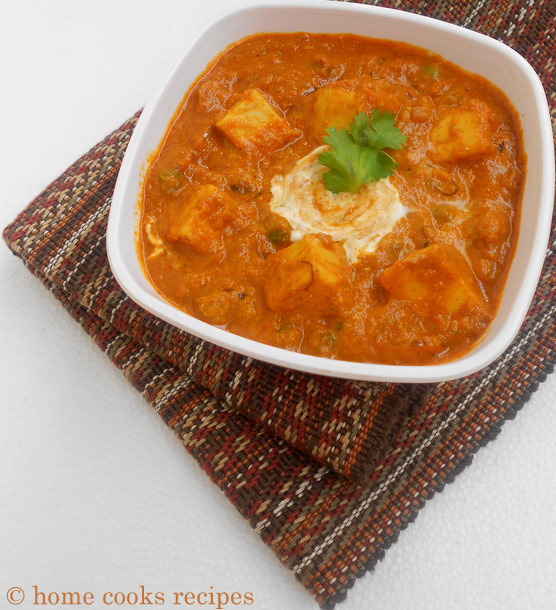 Super rich looking paneer peas masala, inviting. what a beautiful professional looking dish. love the creamy texture of the gravy. its jst awsum i m just 15 yrs old and by readng dis i can make d food easily in d absence of ma mother or family..!!! 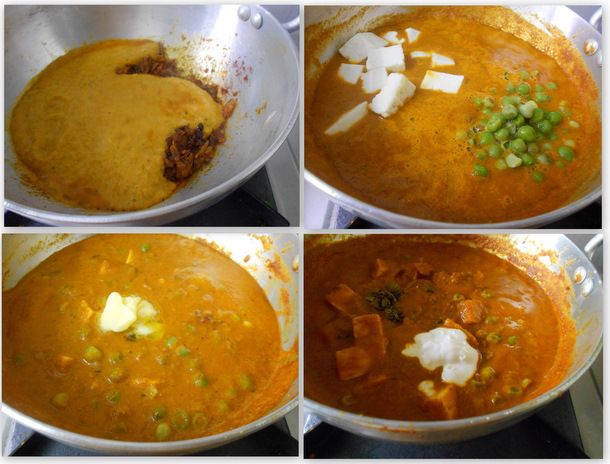 looking super, i'v already tried ur egg curry recipe and the comment from my hubby was "from which hotel did u bring it". thank u so much lavi. i'll include u in my prayers..
i'll try all ur dishes one by one. anjali, you should add water 1/8 cup or upto 1/4 cup, while grinding the onion/tomatoes. dont mind now, add water now and let it boil in medium flame with lid closed. let me know, how it turned out. actually 2 of my friends tried it out and liked it, hope you too will manage make good one. 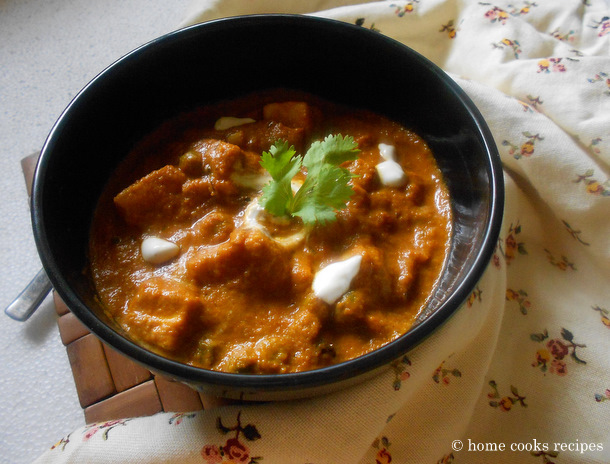 I tried many paneer recipes from internet. But nothing as tasty as yours.